Like you, we love supercars. But, you know what we love even more? One-Off supercars like the 2019 Ferrari P80/C. 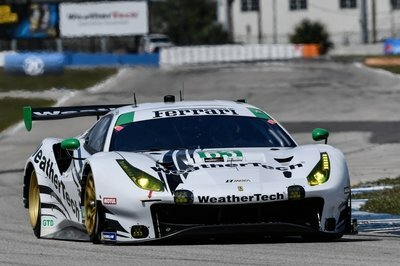 It’s based on the race-spec Ferrari 488 GT3, but it was designed by the same folks that created the SP12 EPC, F12 TRS, J50, and the Monda ZP1 and SP2. Even better yet, this baby draws inspiration from none other than the 1966 Dino 206S. 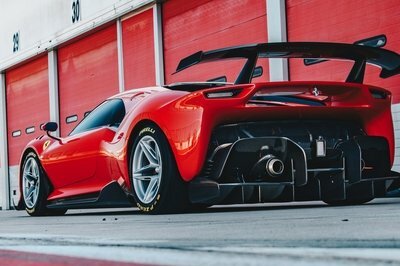 Looking at the P80/C’s crazy design, it’s not hard to tell that it was literally years in development – Ferrari started cooking this turkey back in 2015 – but we’re sure it was well worth it to the anonymous owner. The P90/C is powered by the same engine found under the hood of the 488 GT3, a 3.9-liter V-8 that delivers more than 700 horsepower, all of which is channeled through a dual-clutch transmission. 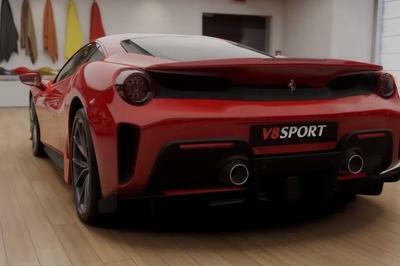 The end result means that it’s probably more powerful than the 488 Pista, and it’s definitely faster with the sprint to 62 mph taking 2.7 seconds or less and to 124 mph taking just 7.5 seconds. Either way, we think this work of art deserves to be honored as our wallpaper of the day. So, we’ve posted our favorite below and, as usual, we’ve placed a gallery at the bottom for you to pick through if you’d like. The Ferrari P80/C does not adhere to no rules, no regulations. It is a one-off, race-track only, special edition Ferrari born after four years of painstaking development and of the necessity to match the automotive art of before with the automotive perfection of today. This is the one and only Ferrari P80/C, and this is what you need to know about it.